Cloud Computing is finding its way into the architecture of current IT landscapes. The present chapter depicts the challenges of the required changes and transitions of Enterprise Data Centers from non-integrated on-premise solutions towards fully integrated on-demand systems in silo-free clouds. Cloud standardization in the context of the Open Cloud Manifesto is discussed as well as a reference model based upon semantic composition and federation (Federated ERP Systems and Corporate Environmental Information Management Systems CEMIS 2.0). How Enterprise Tomography can support the governance process is described as the Root-Cause-Analysis procedure and Integration Lifecycle Management of an Enterprise Cloud and by comparing different system states. On the basis of an operator-based approach, Root-Cause-Analysis and data integrity can be ensured. Finally, an outlook on an approach involving environmental aspects (Green Clouds) is given. Enterprise Cloud Computing becomes more and more prevalent in the IT and Business Application Industry. The quality of integration, i.e. the extent of vertical and horizontal Business Process Integration and its efficient management is to be seen as a key IT asset in Enterprise Data Centers. The scientific approach now is to overcome most of the disadvantages of legacy on-premise solutions. Therefore, existing different research streams, requirements and semantic perspectives need to be converted into one central ubiquitous, optimized and standardized architectural approach. The goal is to perform on-demand and cross-enterprise business processes in the context of Very Large Business Applications (VLBAs). Also in this context cloud standardization is one of the biggest challenges of the Open Cloud Manifesto. 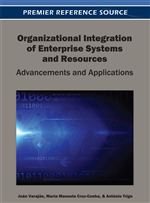 This chapter discusses and outlines, how a semantic composition and federation based reference model (Federated ERP-System) can be established for Enterprise Cloud Computing and set up for business operation. Furthermore, it is debated, how enterprises can develop and maintain enterprise software solutions in the Cloud Community in an evolutionary, self-organized way complying Cloud Standards. In this context a metric driven Semantic Service Discovery and the Enterprise Tomograph can be seen as an entry-point to an organic, gradable marketplace of processes exposed by cloud based Service Grids and Data Grids in graded levels of granularity and semantic abstractions. Regarding Enterprise Cloud Computing, conflictual requirements and design principles need to be resolved. A convergence of the polymorphic streams towards a shared, cloud-based platform can be observed. The main motivation in utilizing Enterprise Cloud Computing for a customer is the reduction of TCO in different aspects: Pooling of resources and services regarding consumption peaks or simplification of legacy infrastructure from on-premise solutions towards an on-demand solution. From the perspective of an Enterprise Cloud Provider virtualization with multi-tenancy functionality proves as suboptimal. There is a higher degree of sharing and reuse possible. This leads to federated service-based cloud software which can grow organically. The scientific challenge is to provide a controllable reference model which serves as a common standard, where standards overcome the typical vendor-lock-in phenomenon and are prerequisite for acceptance. In general, Federated ERP Systems (FERP Systems) based on web-services are heterogeneous software systems processing business data complying integration rules, so different customers have different views, i.e. access points to the FERP. Since the typical software ownership (provider-consumer) is transformed from 1:n to m:n (Brehm, Marx Gómez & Rautenstrauch, 2006, pp. 99-111; Brehm, Luebke, Marx-Gómez, 2007, pp. 290-305) and the complexity of such information eco-systems is increasing in the course of the life cycle, the superordinate target in the context of Enterprise Cloud Computing is to provide methodologies and mechanisms for streamlining and controlling the integration in federated ERP systems. The organic growth of interlinked Enterprise Services Networks needs to follow compliance rules. Therefore, semantic deviation-analysis of enterprise service consumption, Monitoring and Tracking becomes essential in distributed consumer-provider networks along the life cycle. The Enterprise Tomography approach enables monitoring of the complete life cycle of federated Enterprise Software or Corporate Environmental Management Information Systems CEMIS 2.0 described in (Marx Gómez, 2009): With Enterprise Tomography it is possible to make consumption patterns comparable. This comparison is based on a common interlingua represented as lightweight hierarchical ontologies and is achieved by applying the Delta Operator which determines the differences between system-status A and system-status B in a cloud. To be more precise, the comparison and evolution-tracking of integrated business process scenarios in a cloud represented as interlinked enterprise services ensembles is possible. The Enterprise Tomography approach provides the possibility to visualize differences with help of tomograms which aggregate indicators, metrics and serve as a decision basis in the governance process and Integration Lifecycle Management of an Enterprise Cloud (Aalmink & Marx Gómez, 2009). Figure 1 illustrates an overview of the topology of a Cloud Farm. Different aspects and fundamental pillars of the FERP reference model are shown. The procedure, how Enterprise Cloud Evolution can be controlled is outlined in Figure 2.